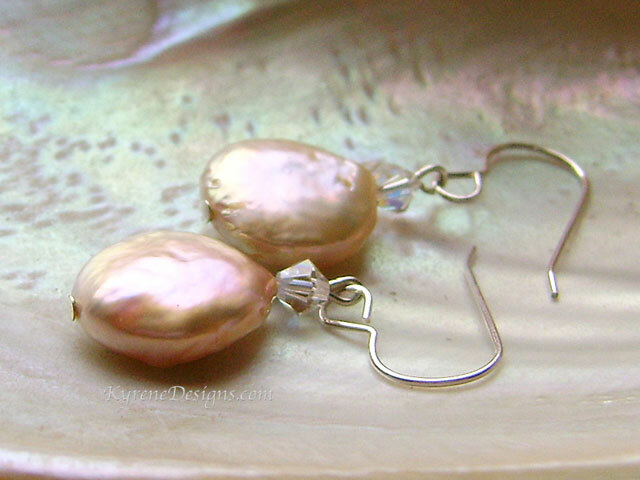 Sweet, natural pale apricot coin pearls with a luminous nacre and CRYSTALLIZEDTM - Swarovski Elements make these sterling earrings beautifully complement the Reef necklace. Length: overall 25mm (1.25") . Pearl 12mm. 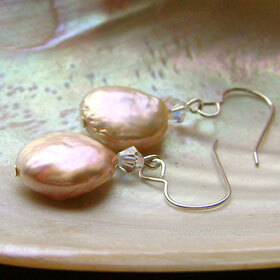 Options: contact sales@kyrenedesigns.com to swap to silver-plated clips, or hypoallergenic hooks.